It all started with a green station wagon and a small room in the Carriage House. 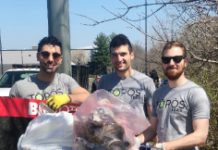 A group of students led by Rowan alumnus Joel Gordon got together and decided Rowan University needed its own set of heroes to take care of on-campus medical emergencies. 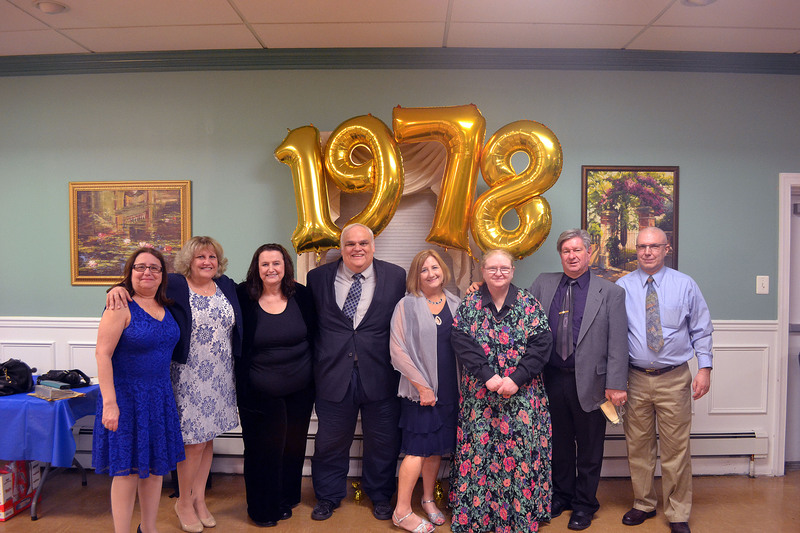 This past weekend Rowan Emergency Medical Service (EMS) celebrated their 40th anniversary. Current student volunteers got together with Alumni and guests at the Glassboro Veterans of Foreign Wars (VFW) Post to celebrate all that has changed and upgraded in the past 40 years. At the end of every year, Rowan EMS holds a banquet for its volunteers to talk about all they have accomplished during the past school year as well as hand out awards given to seniors and other squad members. “When we realized in September that it’s our 40th anniversary year, we knew it had to be huge,” said 2nd Lt. Allen Kravitz, who has been on the EMS squad for three years. Joel Gordon started Rowan EMS 40 years ago after a pedestrian was hit by a tractor trailer on campus. After that, Gordon realized campus needed their own crew of college students in order to help students and civilians on campus. Gordon met with Rowan University’s then-President Mark Chamberlain asking him to help put an EMS squad together. A group of volunteers began answering calls shortly after the meeting and began transporting students to the hospital. The small green station wagon was the start, followed by two road trips to pick up old ambulances to use for the squad. 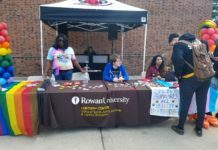 Today Rowan University has over 70 active members and average over 100 calls a month. They now have their own squad building behind the Wellness Center instead of a small room in the Carriage House. They have also gained two ambulances instead of a small green station wagon. The banquet is also where the graduating seniors receive their cords as well as plaques with their name and years of service. In addition to the seniors’ awards, other awards included Chief’s Award, Richard Wadleigh Service Award and Rookie of the Year. Chief’s Award went to Kravitz, the Richard Wadleigh Service Award went to Captain John Brittin and the Rookie of the Year Award went freshman Maribeth Novsak. “I have learned so much about team building and I made so many friends and I am going to really miss everyone,” said Hannah Rowland, a senior on Rowan EMS. Although the Rowan EMS has upgraded in many aspects, current volunteers see at least one thing that has always stayed the same. “One thing that hasn’t changed over the years is the dedication and honor each member has. 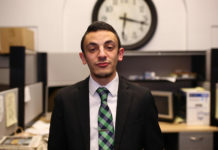 At the end of the day, we are all volunteers and have been doing so since 1978,” Kravitz said.